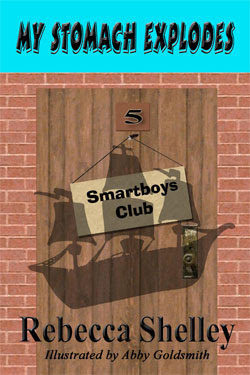 In the Smartboys Club Book 5, the Smartboys visit a Plymouth Reenactment Park where they get to dress, work, and play like Pilgrim children. Too bad Monkey’s worst enemy, Eric Dripp, also comes to the park. As if doing tons of chores isn’t bad enough, Eric and Monkey end up lost in the woods where William Bradford’s warning that they must work together or die takes a turn for the real.